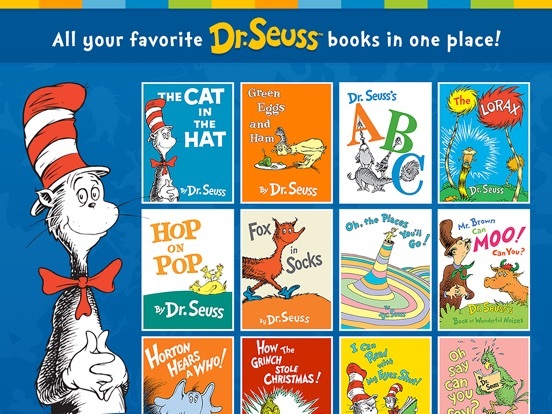 Your child will love reading these Dr. Seuss classics with their favorite characters - the Cat in the Hat, the Grinch, the Lorax, Sam-I-Am, and many, many more! 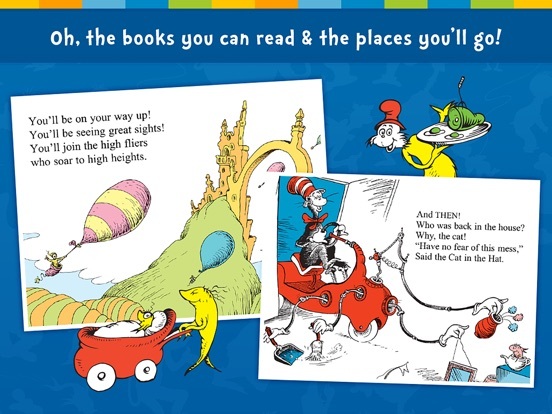 Teachers can see their students' reading skills improve with statistics for number of books read, hours read, pages turned, and words tapped. 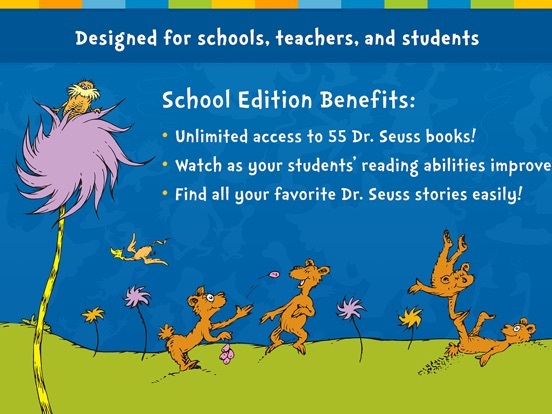 Enjoy unlimited access to a library of 55 digital books you can take with you anywhere. 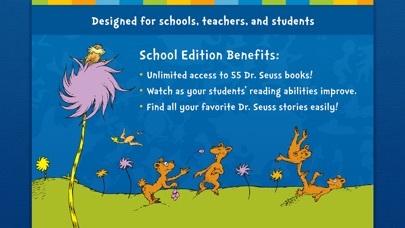 IMPORTANT: DO NOT PURCHASE THIS APP IF YOU'VE ALREADY MADE A PURCHASE IN THE ORIGINAL DR. SEUSS TREASURY. 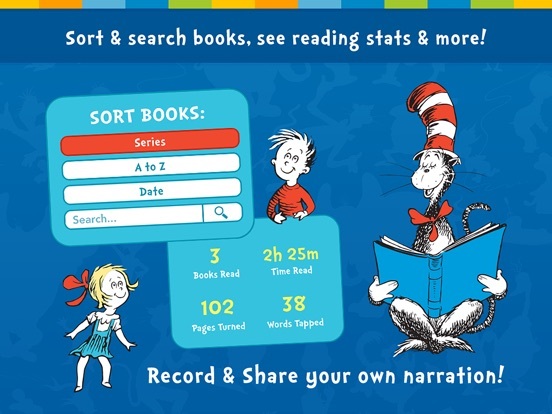 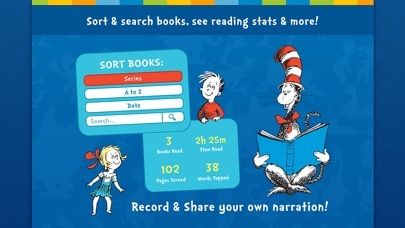 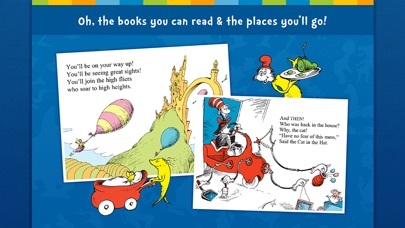 This is the same app as Dr. Seuss Treasury, but designed for schools using the volume purchase program, or those that cannot make In-App Purchases. 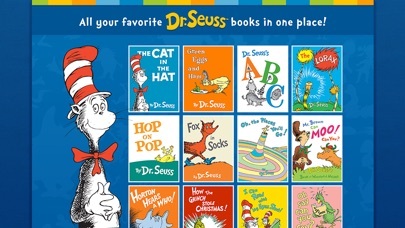 Updated to latest code practices.